This exciting newly created role will lead the Tenancy teams in Bathhurst, Mudgee and Orange. You will ideally have management level experience in the community housing or government sector and be committed to providing exceptional management level experience in the community housing or government sector and be committed to providing exceptional leadership and coaching to a dispersed team as well as driving a customer focused service to vulnerable and disadvantaged clients. To view the full job and position description and to apply, please click here. You may also share this role with your colleagues. BloomingHR’s referral program offers a $250 gift voucher and limited addition Blooming Champion mug for a successful placement. Are you looking for a meaningful role in a company that’s making a difference? Do you want to be involved with one of Australia and New Zealand’s leading social housing management solution providers? If so, then we’d love you to join our energetic and growing team who help make social housing management easier. MDB Consulting, the creators of Chintaro, has grown to become the leading provider of management solutions within the social and community housing sector in Australia and New Zealand. For over 20 years, we’ve been developing software that empowers tenancy and property managers in the social, affordable, community and disability housing sectors deliver consistent, high quality housing services, while helping to alleviate the burden of market challenges, skills shortages and ever-increasing government regulations. 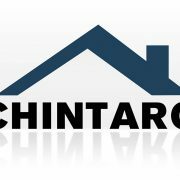 Chintaro is a dynamic, purpose-built housing software program developed with valuable input from Australian and New Zealand tenancy and property managers. This system helps them to efficiently handle the most pressing and everyday challenges. We are looking for an experienced Customer Support and Training Officer to provide world-class technical support for our software product for both new and existing clients. The successful candidate will be ideally located in Melbourne. The Customer Support and Training Officer is responsible for solving/identifying technical and software issues, installing software, answering support calls and managing customer exceptions. Support tasks may include configuring on-premise/hosted installations of Chintaro, answering basic software application questions, documenting issues/bugs and assisting customers with any technical issues. This role is predominantly client-facing so proper representation of Chintaro and MDB Consulting, as well as industry and software knowledge is paramount. To read more about the role please click here.